Girls love having that new material possession, showing off the cutest purse they just bought, but some focus more on hair and makeup to make their entrance. Whichever it is, I am a firm believer that your hair makes your outfit! This is why I want to show you some tips and tricks on coloring your hair to make your entrance, boost your confidence and create that subtle change of detail for people to notice you at your next event. When is The Time to Switch it Up? If you're a brunette and you notice in the light that your dark locks are looking multicolored from your previous hair dye, maybe that your color looks dull and doesn't have shine, or you can see another color coming in through your roots, then it is time to start looking for a salon or better yet a color you can buy to create yourself. You can visit any beauty supply store for a color you can mix yourself and to dilute it.They will help you with finding the best option for your hair. I also encourage a mask every week for softer and manageable hair! You will notice your gold locks immediately if they give off a reddish/brassy tint that you don't want, your roots coming through, or if it starts looking bland with no shine. If the blonde starts contrasting a darker color that doesn't match then this means you're missing protein in spots and its time for a treatment! If this is the case you are ready to switch it up! Sometimes all you need for your spectrum of blonde is a toner, if you ask your stylist she will take off the tint with a toner and if you want a different color in general blonde is the easiest color to transfer from. Some Advice for The "Hands On" Group! Now, if you're like me maybe you're just dying it because you want a subtle change or want to make your current color stand out more. Either way, I hope in this seasonal change I can help you with some advice! *Dye your hair when it is oily ! 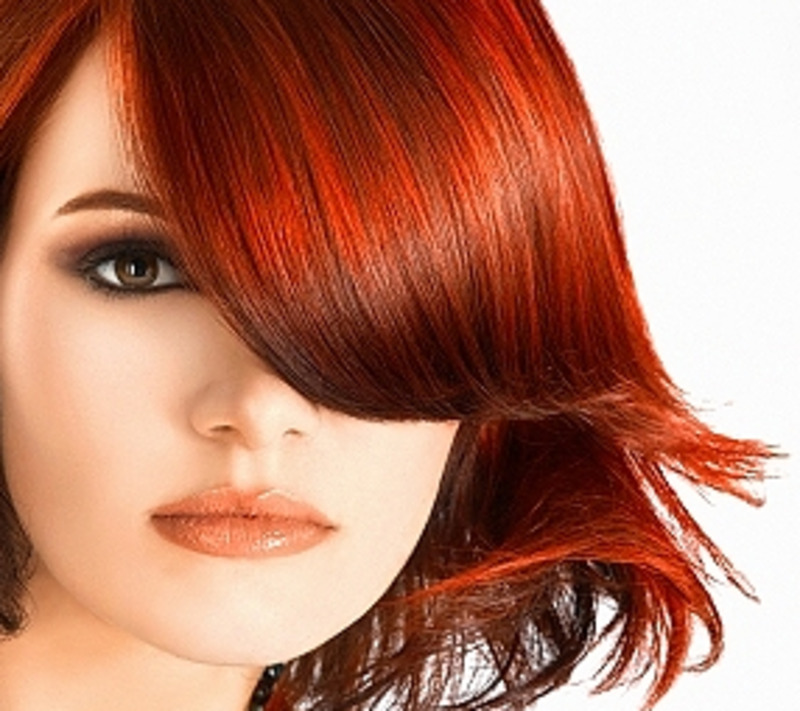 - Your hairs' oils help protect your strands and help for an even tone when applying the dye. * Comb hair out for an easy application BEFORE, and during to spread the color evenly. * Only dye your hair yourself if you're going 1-2 shades darker or lighter. If you're going platinum blonde or jet black, see your stylist ! .. PLEASE ! *Apply Vaseline on corners of face and back of neck to avoid dark colors from the dye. *Try separating into sections when dying and don't just dump the solution on your head. I've never used a dye with an easier application as this one! -The Garnier Olia Collection of hair dyes is my absolute favorite for a take home salon product. The substance makes life so much easier for you! It has a great application bottle that spreads evenly. You get an even coverage and you save your time while applying the color. The box color includes a conditioner for the shower. It destroys frizz in its tracks and brings moisture to your scalp! I choose the brand John Frieda. It has a very simple application process as well, if not easier! It has a foam substance for application. 7) After you have covered these parts, use a comb to split down the hair to a different part by making a straight line away from your face and down to your neck and continue this process towards your ear. Make sure you get around the back of your neck so you don't have splotches back there! Any comb or brush you own will help your application process for an even coverage! 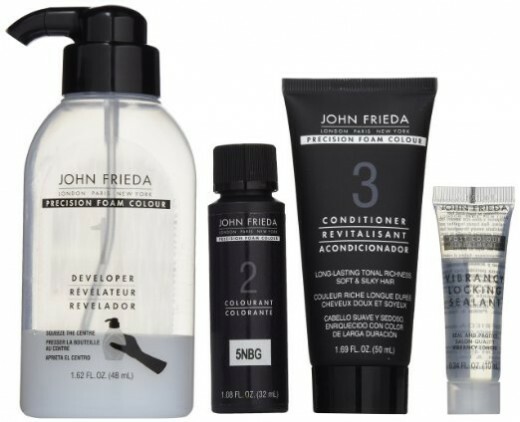 This set includes the bowl to mix the products, but once you get your John Frieda you will always have a bottle ready to mix the colourant with the developer. The brushes for sale are very useful in this case for spreading the foam in your roots and parts in your hair. If you're comb is a wide tooth comb, these brushes in the set will definitely be needed to avoid coloring in streaks! I hope this was helpful for your next coloring :) ! Once you're done with applying the foam, you take your hair and wrap it up as if you were making a bun on the top of your head and tie it or put your gloves over it that you were wearing. If you want to take it a step further, you can wrap cloth around the hair to keep it warm and help it develop faster and easier! 2) Use the conditioner they provide you with because it smells amazing and prevents your hair from being frizzy. The conditioner was designed in the mindset that your hair will be very dehydrated so it can condition more than regular conditioners. 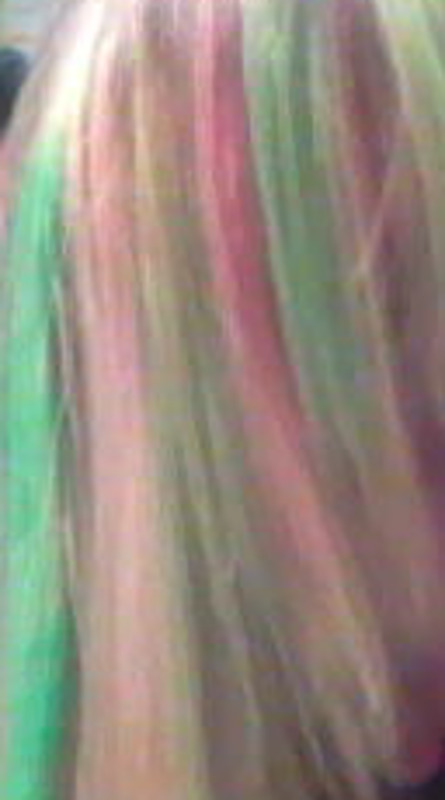 3) Rub your scalp to really get all areas of where the dye was sitting! 2) Use their Post Colour Treatment - it is to prevent frizz as well as a Vibrancy Locking Sealant. It is the tiny clear bottle that comes with the box. 3) Then, style as usual! ** Also remember to keep up the regime of doing a hair mask every week for a healthy scalp as well as shiny strands!